A good wick makes for a long-burning candle. The history of candle making dates back to the early Egyptian and Roman times. It seems nearly every culture has used candles as a source of light. The Egyptians used wicked candles in 3,000 B.C. These candles were made from tallow extracted from cattle and sheep. These early candles did not burn well. Most likely, the fumes they gave off from burning smelled bad. The Roman Empire can be credited for making the first candle similar to what we have today. They melted the tallow until it was a liquid and poured it over fibers of flax, cotton, and hemp. These materials were used as a wick. The candles provided light in religious ceremonies and also were a source of light when traveling and in the home. Candles over the ages have been made from whatever available plants and insects were around at the time. Historians believe that the early Chinese candles were molded in paper tubes. A piece of rice paper was used for the wick, and the wax was from an indigenous insect that was combined with seeds. In ancient Japan, candles were made of wax extracted from tree nuts. In India, candle wax was formed by boiling the fruit of the cinnamon tree. 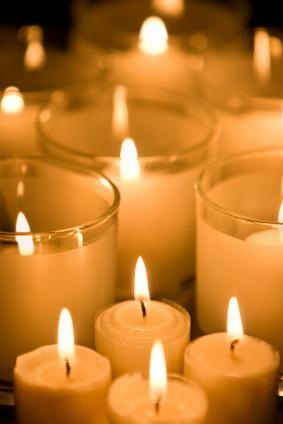 Using candles in worship services became common during the Middle Ages. At this time, beeswax was discovered as a better ingredient for candles. Beeswax burned longer than tallow. However, since these were more expensive to make, only the wealthy and clergy were able to afford beeswax candles. In America, the early settlers boiled the berries from the bayberry shrub. Although this procedure was cumbersome, the result was a sweet-smelling candle that burned well. The growth of the whaling industry in the late 18th century brought the first major change in the history of candle making since the Middle Ages. Spermaceti, a wax obtained by crystallizing sperm whale oil, became popular. Spermaceti had a pleasant smell, and produced a brighter light than any other wax. It was also harder than beeswax and tallow, so it would not soften in the heat of the summer months. Most of the big developments which impacted candle making took place in the 19th century. In the 1820s, a French chemist by the name of Michel Eugene Chevreul discovered how to extract stearic acid from animal fatty acids. This important discovery lead to using stearin wax, which was durable, hard, and burned cleanly. Today in Europe, stearin candles are still very popular. In 1834, Joseph Morgan helped to move the candle industry by inventing a machine that allowed for continuous production of molded candles. He used a cylinder with a movable piston. This machine ejected candles as they solidified. Candles could now be afforded by the masses. Candles are often lit for religious occasions. Paraffin wax was introduced in the 1850s, after chemists learned how to take petroleum and refine it. Paraffin's only drawback in candle making was that it had a low melting point. Other than that, it was odorless and burned cleanly. It was also more cost-effective to produce. Candles were the only source of light in America in the early 1900s. However, once the light bulb was created, candle making was no longer as needed or necessary to light homes. Due to this, candle making declined. Candles are used to decorate tables at meals, parties, and other festive events. 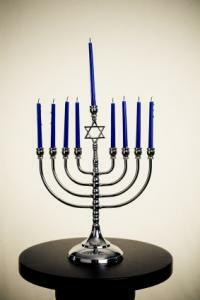 Candles continue to be lit for religious ceremonies, especially at Christmas. They are also used at funerals. Birthday cakes traditionally hold lit candles for the purpose of blowing them out. Many like to light aromatic candles in the bathroom and enjoy a long soak in the tub. Making candles at home is still something hobbyists enjoy for the sheer beauty and feeling of accomplishment. There is a skill and craft to designing candles. It is an art never to be lost.